The ‘No Deal Brexit’ Scaremongering Nonsense! The mass hysteria being created by scaremongerers over the thought of a No Deal Brexit is quite staggering, no more so than the very fact that people are actually swallowing what the media are saying and then regurgitating the nonsense as much as they possibly can, some of whom are quite high profile figures. Apparently, according to some the Horses of the Apocalypse are going to come charging down onto Britain should we leave the EU in a No Deal Brexit scenario… Roads will come to a standstill because of customs checks, medicines and food will no be able to get through and this is going to turn Britain into something that is far worse than the current situation in Venezuela… Really? Do people actually believe that nonsense? The EU will simply be in no position whatsoever to lose our custom after they lose our massive contribution. There are currently 28 states in the EU and the UK contributes more than 22 of them combined, that is a massive shortfall the EU will need to make up and as we have a £80 billion a year trade deficit with the EU, they are certainly not going to want to lose access to our own single market, that is a clear fact. 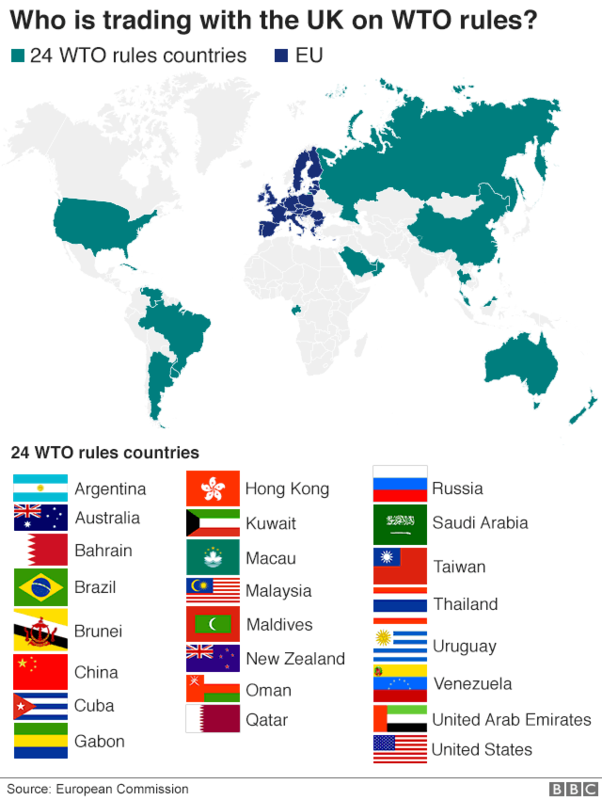 Article 8 of the Lisbon Treaty dictates that the EU has to have special relationships with neighbouring Non-EU countries, it is defined in their own rulebook and this means that they will not be able to punish us for leaving by imposing unfair trade restrictions on Britain. Now the one the scaremongerers have picked up on is diabetes insulin manufactures and it is true we do import over 90%, however, that does not mean that we are actually incapable of producing it ourselves. The largest manufacturer of insulin is Nova Nordisk, a Denmark company who have just opened a new £115 million Research and Development centre at Oxford University. Something else the media have been somewhat silent about as it doesn’t fit their current narrative. Will leaving the EU on a ‘No Deal Brexit’ be Armageddon for the UK, of course, it will not. We managed to survive two world wars, so leaving the EU will be nothing in comparison but it will entice businesses to expand so as to start creating some of the products we currently import. Without the restrictive EU regulations we can become far more competitive both at home and on the world market and that will create more jobs and increase wages. Since we voted to leave the EU over two years ago, unemployment has fallen and the average wage has already increased and that is a clear indicator that the Doom & Gloom merchants could not be more wrong but then it is the same people who were saying Britain would crumble if we did not join the Euro and look how wrong they were with that particular prediction. People simply need to have more faith in Britain’s capabilities and realise that the time has come to let go of the EU’s apron strings, then we can all get back to showing the world why we were known as Great Britain before we joined the EEC/EU… What many people do not realise is the fact that of the 5.1 million UK businesses less than 4% of them actually deal directly with the EU and yet 100% are burdened with restrictive EU regulations that stop us competing with other non-EU countries that do not have those same burdens. Leaving the EU will put Britain back on a level playing field with the rest of the World and that can only be a good thing for Britain. I strongly suspect that future historians will look back at Brexit and seriously wonder how anyone could have tried to stop Brexit!